Understanding the Dorian b2 scale ? What's the Dorian b2 mode ? 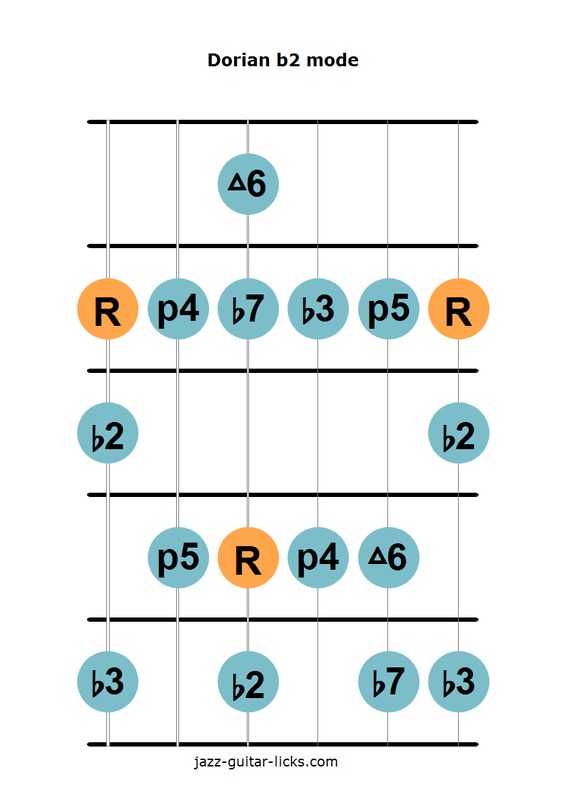 As it is shown in the chart below, there are several Dorian modes. It is important and useful not to confuse them. The Dorian mode is the second mode of the major scale. The Dorian #11 mode is the fourth mode of the harmonic minor scale. The Dorian bebop scale belongs the Bebop scales family. It has eight notes. It is important to memorize the interval pattern and which jazz minor scale it comes from. For example, if we take the D dorian b2 mode (D-Eb-F-G-A-B-C) we can see it is the second degree of C minor melodic scale. This allows you to group similar scales together. The following neck diagrams show you how the Dorian b9 looks like this on the guitar fretboard. The Dorian b9 mode can be used over the V of a II-V-I sequence to bring a little bit of tension to your line. This way you will highlight the b9, #9 and 11 of the dominant chord. 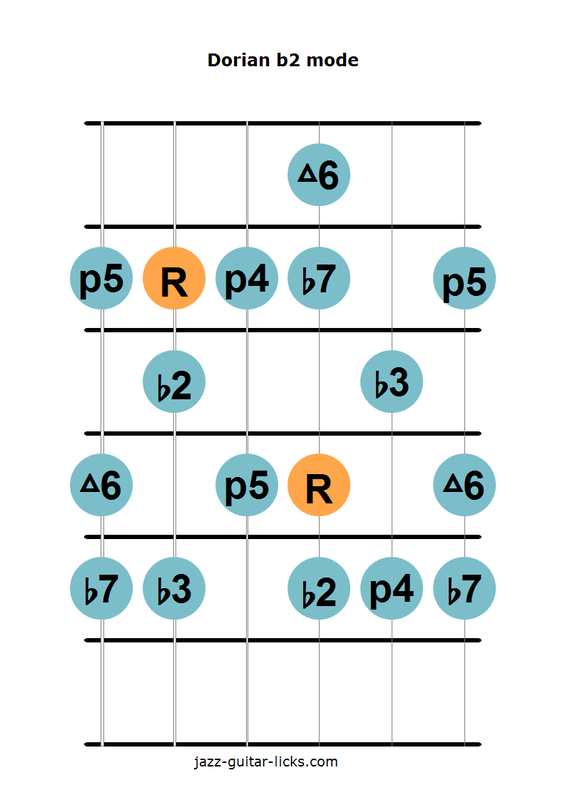 As you can see in the example the G dorian b2 scale (G-Ab-Bb-C-D-E-F) is played over G7alt.